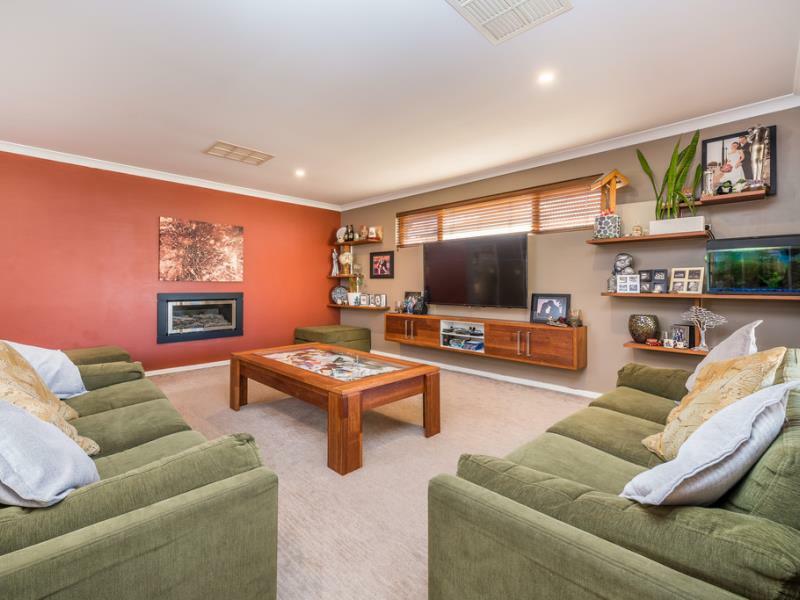 This beautifully presented 4 x 2 home is perfect for families with space for everyone. The front garden is well laid out with many indigenous plants, olive trees and a frangipani lined exposed aggregate driveway. 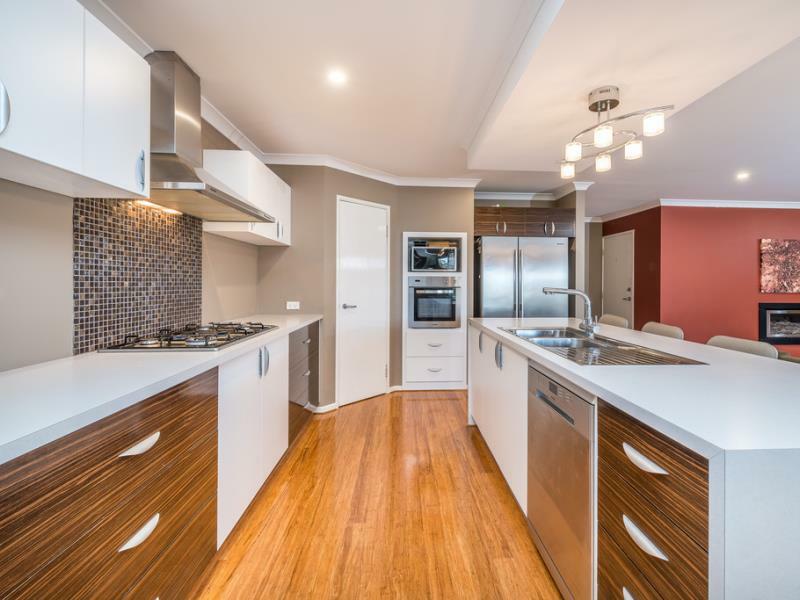 Nearby is the Bramston park Community Centre and Sports Grounds and 1.4km's to the beach and well-known Burn's Beach Cafe. 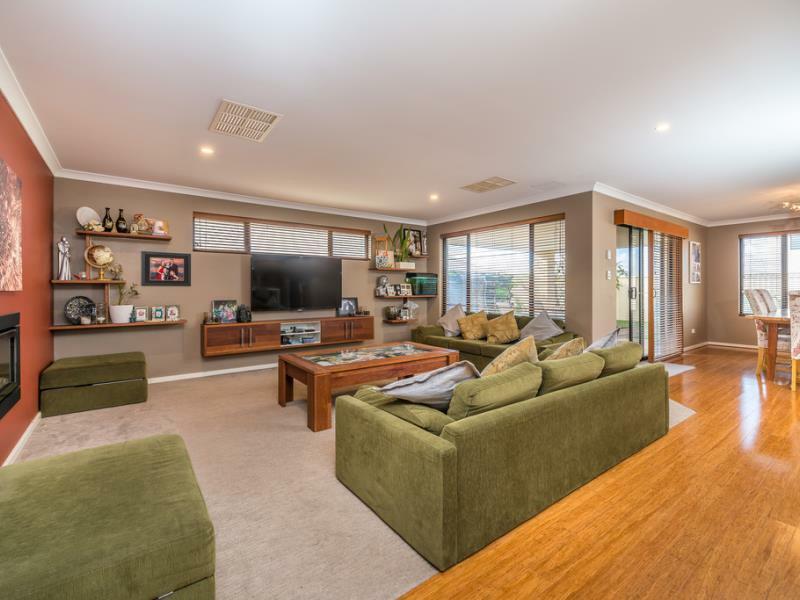 A grand grass tree has pride of place next to the tiled portico with double front doors, upon entering there is a wooden staircase leading up to the loft room. To the left is a large study / formal lounge and to the right is the spacious master bedroom with a lovely en-suite where you'll find a double shower, separate toilet and double basins. A spacious walk-in robe completes this beautifully secluded space. Up the stairs is a huge loft room currently being used as a dual function gym and media room with integrated audio-visual storage and speaker enclosures. Here you will find a built-in plumbed kitchenette where popcorn and cocoa can be made for those cosy movie nights. There is also a large attic style storage area with convenient access to the roof space. Under the stairs you will find a spacious guest powder room with basin and a gorgeous built in bookshelf and behind that is another storage area perfect for the Christmas tree or luggage, that is accessed from the master suite's built-in robe. Double doors lead into the main living area showcasing a large family room with a lovely bespoke built in Merbu TV cabinet and a sleek gas fireplace that heats the space perfectly on those cool nights. A good-sized dining area with sliding door access to the patio and back yard and the kitchen which has a generous pantry, plenty of island bench space with waterfall counter tops, double kitchen sink and space for a double door fridge. A door leading from the kitchen area into the kids wing, with an amazing king size plus bedroom to the right with a walk-in robe and a further 2 queen sized bedrooms down the passage, one with a walk-in robe and the other with a built-in wardrobe. These rooms all access the open spacious play area along with the huge walk in linen / store cupboard, family bathroom with a shower and bath, separate toilet and large laundry with plenty of cupboards / storage. •	Double garage with shopper's entrance and a half size rear roller door leading to backyard. •	Bamboo flooring to all living areas. •	Carpets in all bedrooms, loft and play room. •	Low maintenance back garden with astro turf. •	Wooden blinds to living area and front study / living room. •	X4 TV points (master b/room, front lounge / study, living room and loft room). •	Gas bayonet in loft. •	Gas fireplace in main lounge. •	Vertical garden and fountain in covered entertainment area. •	The beach and beach-side cafe, beautiful walking paths next to the ocean and multiple lush green parklands. •	5 min. drive to Currambine Central with amazing restaurants, cinemas, Farmer Jack's and Woolworths to mention a few. •	This enviable address is close to excellent public and private schools and has easy highway access.